Countdown to the Gown – wedding weight loss the right way! Hello there, and welcome to the only pre-wedding weight loss programme which doesn’t make me furious! I’ll be brutally honest: there are some scary diets whose inventors seem to deliberately target brides, and it makes me angry. Nobody should feel pressured to lose weight for their wedding. If you do want to lose weight it’s fine, but please – be healthy in your approach and how you lose that weight. 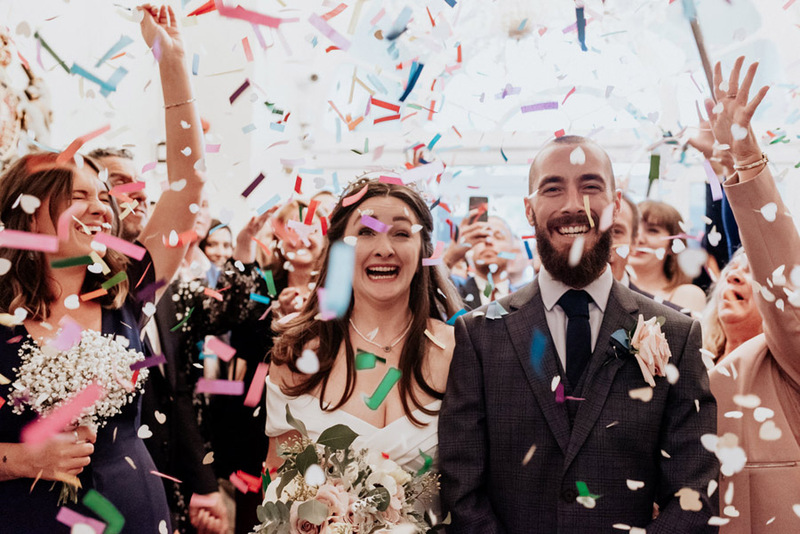 I’m talking about your mindset as well as your physique – and in almost 10 years in the wedding industry I’ve finally discovered an expert who approaches wedding weight loss the right way. Your wedding dress is the most important dress you’ll ever wear, so it’s only natural you’ll want to look spectacular. For many brides-to-be, losing weight and getting into better shape is a big part of that. Many women hire a personal trainer to help them get in shape for their big day, ensuring that they get the expert advice, direction, motivation and accountability that a trainer provides. But with the high cost of a wedding, a personal trainer isn’t an option for most brides. So they have little choice but to do it all themselves. But with the sheer amount of advice out there, the DIY route can be confusing, leaving brides-to-be stuck and not knowing where to start. Or worse still, taking a wrong turn which leaves them feeling worse then when they started. I decided to change this. That I would create a resource for brides who wanted to look great for their wedding, but didn’t have the option of hiring a personal trainer. And that most importantly, I would show them how to do it the right way; the way to lose weight without sacrificing their health. Countdown to the Gown is that resource. Your mindset is how you think and how those thoughts affect your ability to get into great shape. I’ll show you the best techniques for keeping yourself motivated and raring to go – right up until the church bells ring! You’ll learn how to set goals that you can stick to, how to develop your confidence, and how to really use your willpower. This won’t just be another weight loss attempt where you start of with lots of enthusiasm before burning out; I’ll show you how this time will be different. I’ll also show you that you don’t have to go on a diet in the run up to your big day, but instead how to take control of your diet. There’s no dangerous crash dieting here, or any tedious calorie counting. Just a practical guide to eating well that will cause the weight to drop off, and will leave you glowing with healthy and vitality. In fact, you’ll learn how to do this without giving up ANY of your favourite food. And lastly, I’ll show you how to transform your body with my 12 week countdown exercise programme. It’s designed to hone in on every part of your body, including lean legs, a beautiful back, sleek arms and a flat, toned midsection. By utilising the afterburn effect, your metabolism to soar and you’ll burn fat while you sleep. And best of all, it’s designed to be carried out anywhere! You’ll also be guided every step of the way as the programme is fully illustrated and includes videos links for each exercise. If you want to look your very best on your big day, this is the book for you. Countdown to the Gown will help you say ‘I do’ to a slimmer you!